Happy Birthday Althea! 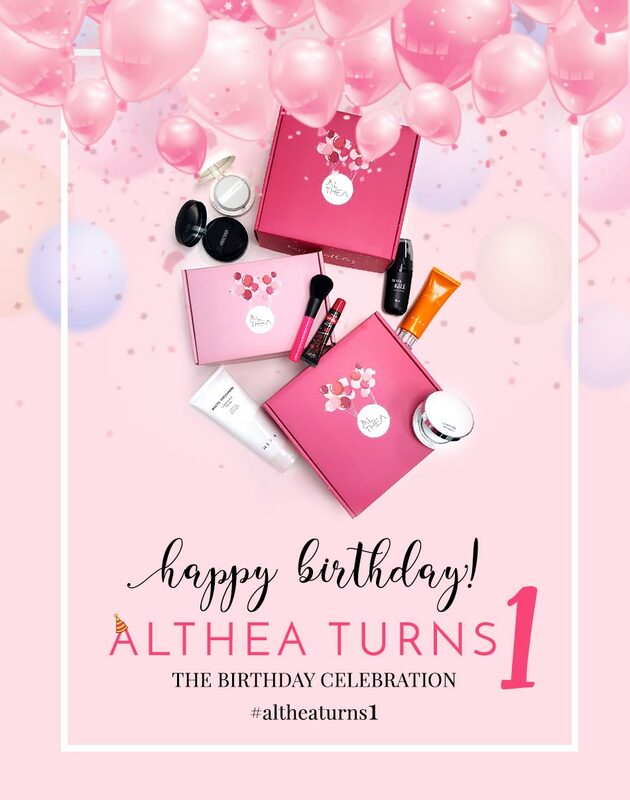 Celebrate #altheaturns1 with Awesome Offers and Giveaway from Althea! I am a full time fan of beauty products from all over the world and right now, Korean Beauty is all the rage. 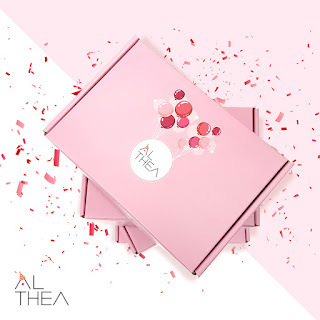 I have been getting my K-Beauty fix online from Althea since the beginning of this year and I am not ashamed that my house is now filled with the unmistakable pink boxes from them. They carry among the biggest selection of Korean beauty brands and all the items are shipped straight from Korea. Their customer service and delivery time is also top notch too! Limited Edition Birthday Box and DIY Party Kit. 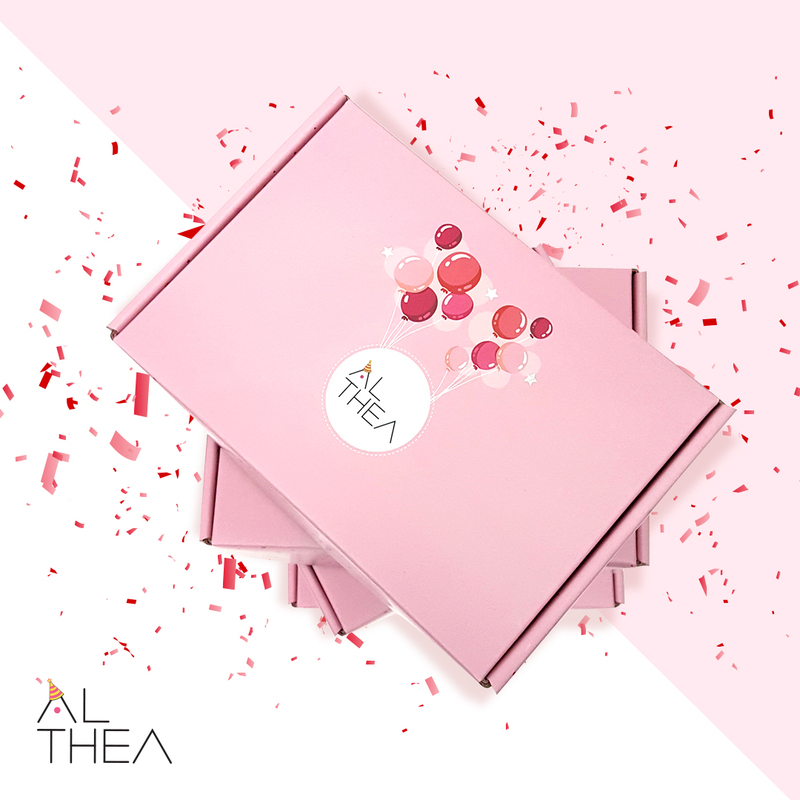 Althea pink boxes are already a treat to the eyes, but the limited edition box is so gorgeous on its own. DIY Party Kit consists of a DIY party cone hat and some balloons for you to be creative and join in the fun. I had a wonderful time setting up my party hat! Birthday Giveaway. Pick 3 Top Sellers for 100% REBATE! Rebate will be credited into your account so you can get more goodies. You can never have too many beauty products. #Altheaturns1 Instagram Contest. 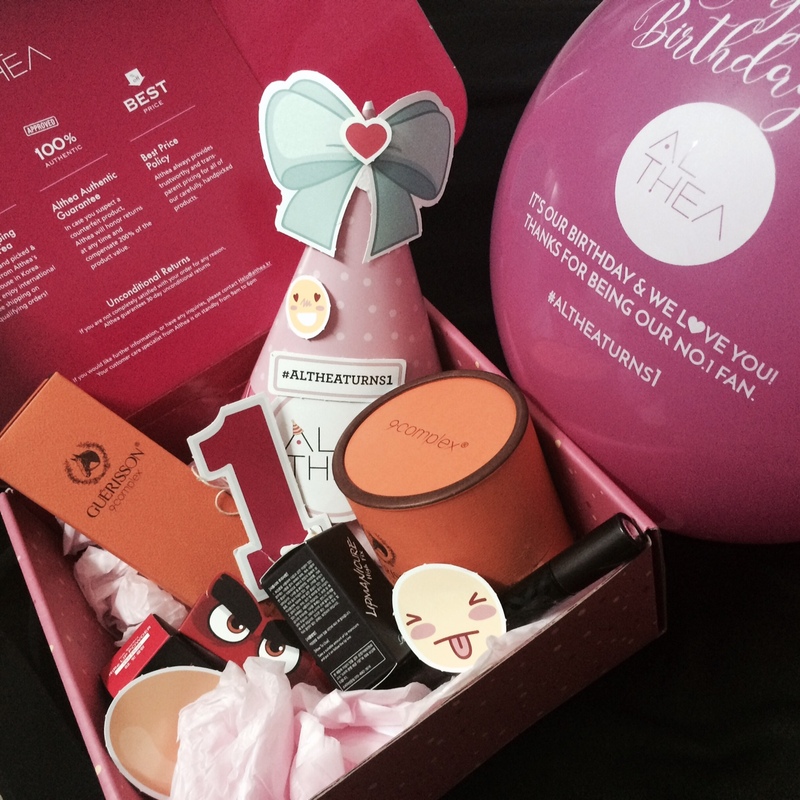 So you ordered from Althea and got the aforementioned DIY Party Kit. Flaunt it and share with the world by hashtagging #Altheaturns1 on instagram and stand a chance to win Macbook Air, Ipad Air 2, iPhone 6S, Galaxy S6 Edge, Canon EOS M10 Selfie Camera, Althea Credits and beauty hampers! There's KRW10,000,000 (That's approximately RM35145) worth of prizes to be won! Contest starts from 20th July to 15th August 2016 so be quick! I already got my Althea Birthday Box and having a party with my Korean beauty products. So what are you waiting for, and join us in the birthday bash! 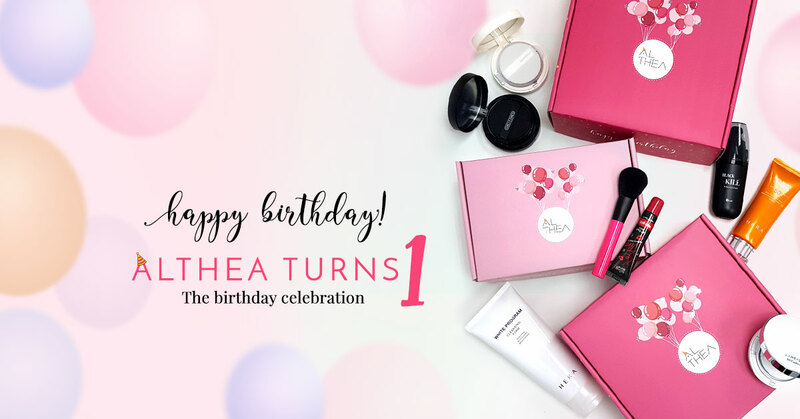 Hye Fateen, this is Mira from Althea, we would like to thank you for joining in our online Birthday Party. We hope you had fun!